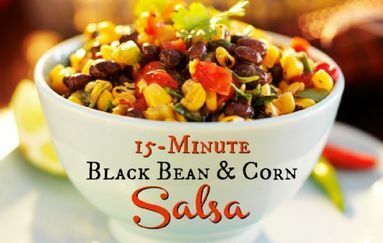 Open can of black beans, place in strainer and rinse off excess "juice." Dump in bowl. Open can of rotel, and add to beans and corn. It can be eaten as a "salad" like cole slaw, or with corn chips.